You can protect your business against lawsuits and the loss or damage of data or physical assets with the use of insurance, enabling the growth of your business in the long term.  The likelihood of the business making an insurance claim. Here are 3 types of insurance covers available to businesses. 1. Commercial property insurance: Every business with property needs to have an insurance policy that will cover for damage from varied causes, including protecting the business premises and buildings from certain risks. If you require this type of insurance to cover the needs of your own business, the things you can expect to be covered will include floods, storm damage, lightning and fire, riot protection, and the destruction of property, to name a few. However, it is important to note that property insurance policies typically do not cover mechanical or electrical breakdown, “wear and tear”, or any policy-specified property deterioration. 2. Business contents insurance: Machinery, stock, and contents need to be insured separately since property insurance only covers the physical business building. While getting business contents insurance, there is a choice of indemnity insurance or a replacement as new insurance. Indemnity insurance: This is the type of insurance many working professionals will choose to protect themselves in the event of some type of human error affecting the output of their work. Indemnity insurance deducts the cost of a project that might have gone wrong due to a mistake being made on the part of the person who was hired to complete a particular task. We can be prepared to undertake any kind of job, but mistakes will always happen at one point in the process, which makes some kind of indemnity insurance all the more vital for a hard-working professional. Businesses can choose a business interruption policy which insures against loss of profit and the higher overheads incurred as a result of a loss. Cyber risk insurance covers the damage or loss of information from IT networks and systems. This insurance is important where reputational damage and regulatory enforcement are concerned. Cyber risks are covered by first-party insurance cover and third-party insurance cover. The former covers the assets of the business while the latter covers the assets of the customers. Insurance needs differ from business to business. You could seek advice from regulated insurance brokers or insurance companies in the UK, to find the insurance covers that are suitable for your business. The Financial Conduct Authority (FCA) regulates insurance advisers, brokers, and other insurance intermediaries. A good insurance adviser should have FCA authorisation. Navigating the complicated world of real estate can be rather difficult if you’re unsure of your needs and wants. It’s important to understand exactly what you will require of a living space and, from there, to parse various listings for at least some of those items. If you’re going to be buying a condo, you need to specifically understand what “condo” entails, conceptually. It is, ultimately, a piece of property that is shared, but nevertheless has individual owners who oversee a particular unit. Oftentimes, there are many amenities and services located in the building itself, to which all residents have access. These typically include, but are not limited to, gyms, pools, tennis courts, and sometimes, entertainment rooms. Because it is “shared” to a certain extent, property managers are called in to maintain the standards of the building’s public areas. In this sense, they offer easy-going lifestyles, compared to the day-to-day of homeowners, who are responsible for just about all of the upkeep on their property. As any good real estate agency will tell you – like the savvy team at CondoHere – locations are prone to many changes, it terms of surrounding demographics and businesses. As soon as a complex of condo developments go into their construction phases, they attract a number of shops. If you’re buying pre-construction, you’re guaranteed to be surrounded by new coffee shops and restaurants mere months after moving in. It’s important, then, to familiarize yourself with the differences between pre-construction and other condos. Buying a condo means that you’ll need to decide if you want an older, likely more expensive unit, or a brand-new unit that has yet to be completed, as far as construction goes. There are a few risks involved in going the pre-construction route. For example, you may face a few delays in the developments that are completely out of your control, such that your move-in date changes. At the same time, it is a far cheaper endeavor that doesn’t require an outrageous deposit, given the contingencies of construction. There is no more exciting time in your life than buying your first home. Although it is a big commitment, it marks a major milestone and gives you somewhere to call your own. Whether you plan to move in by yourself or with your partner, it really is a wonderful time. Of course, as a first-time buyer, you have not been through the whole process before. This can make it all seem a little confusing or overwhelming. If you feel like you need some help in making that first move, read on. Think about location – This first tip actually is for before you buy your new home, but it’s worth factoring in anyway. Be sure to fully consider the location of any home you buy and what amenities it has close by. Also, be sure to check how easy it is to get to your work and any transport links available. All this will make sure you own your first home in an area that is suitable for your needs. Get to know your neighbors – In fact, it is great to get to know as many people in the local area of your new home as possible. Not only will this help you settle into your house but also help you integrate into the community. It will also mean that there are plenty of people to call on for help or advice if needed. Choose a home warranty – Ideally, you should try to take out a home warranty as a first-time home owner. These warranties are to cover against the repair or replacement of the major appliances and systems in your home. It is much safer and easier to budget for than suddenly getting a huge bill when your boiler or central heating system fails in the winter months. Think about your finances – Making sure to really think about your finances when you become a home owner is key. This is especially important for first-time buyers who might not have a lot of savings left in the bank to fall back on. These considerations should start before even buying your home, by asking yourself the question ‘How much home can I afford?’ and using this formula of 28% of your gross income to be sure. Once you are settled into your home, make sure to devise a budget to keep yourself financially stable. 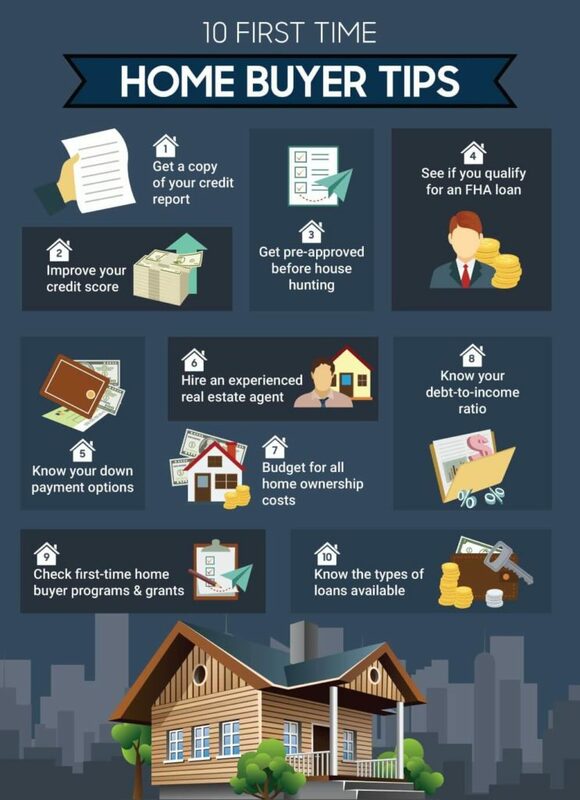 There is no doubt that owning your own home is amazing as a first-time buyer. While there are lots of things to think about, both before and after the move, you will love having your own sanctuary to relax in. Take the time to think about the above tips and you will be able to look forward to a blissfully happy time in your new home. Investing can be overwhelming for a lot of people. This is especially true for younger people who might not have a lot of experience, or for people who have been burned in the past. New investors constantly hear that they have to balance risk and reward, and have an equal amount of both in their portfolio. There are so many concepts to think about within that larger idea of balance, however. For example, there are options that range from highly safe but with low returns, all the way to trading penny stocks, which is risky and speculative but can create big rewards. What is the right mix of risk and reward? How do you combine taking risks that could pay off, with protecting yourself against potentially big losses? Three of the main considerations to keep in mind when it comes to balancing risk and reward are the horizon, personal objectives, and risk tolerance. For example, if you’re saving for the long-term, you might take more risks with your investments because you have longer to shoulder the burden of losses in the short-term. Of course, these are just the initial concepts to keep in mind. 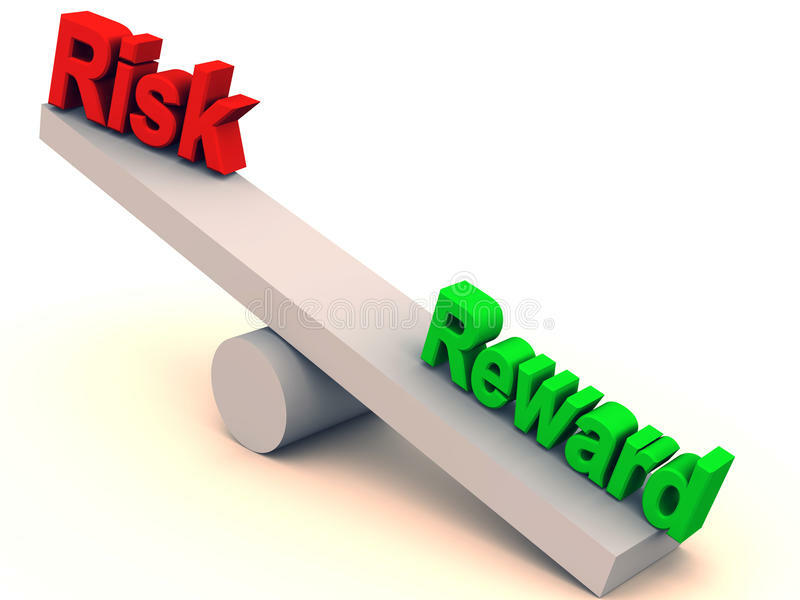 The following are some things to know about striking a balance between risk and reward when it comes to investments. First and foremost, there are different asset categories, and they have different levels of risk. One of the lowest risk actual investments you can have are government bonds. They have a small annual return, but they provide security and peace of mind. Next on the scale are corporate bonds. The annual return is slightly higher than government bonds, but still not massive. From there are equities. The riskiest options are small-cap equalities and biotech explorers. Even just knowing how assets break down regarding risk and reward can be a good starting point, because it can help you create a framework for balancing your portfolio. Different types of risks occur within financial markets, and these are important to understand as well. For example, market risks are things that don’t have anything to do with the specific company you’re investing in. Market risks are things like inflation or market conditions. Changes in public and economic policy heavily influence market risks. There are company risks as well. These may not just be specific to the company, but maybe the entire industry it’s in. Then, there is financial risk which is more related to you at the individual level. When you’re thinking about personal risks, ask yourself your reasons for investing, the time you have to invest, returns you hope to make, and also your general level of risk tolerance or aversion. If you’re someone who doesn’t want to take on a lot of risk in your investment strategy, you’re going to have to think about the fact that you’re returns are going to be lower. In this instance, you’re going to have to invest more or invest for longer. You shouldn’t underestimate the importance of your personal comfort. A lot of people want to go so far in one direction or the other when it comes to investing, that they’re ultimately not comfortable with their strategy and portfolio. You don’t want to feel anxiety about your investments, so try to remember that as you’re making specific decisions. One of the only real ways to balance risk and reward when investing is to have a diversified and well-balanced portfolio. No matter your comfort level with risk, if you have a balanced portfolio, it’s the best option. Diversify across not only companies but also sectors. Look at different options from low-priced stocks that are highly risky but could bring strong rewards, to safe, steady bets. Along with diversification of the actual stocks and asset classes you invest in, you might want to think about mixing what is described as aggressive and defensive strategies. Aggressive strategies allow for maximum returns even over a long investment timeframe, while defensive strategies minimize risk. Finally, as you look to strike that ideal balance between risk and reward, the best thing you can ultimately do is educate yourself. The more you learn, the more readily able you’ll be to design a strategy that works for you financially and personally. You can learn not only about the broad terms and concepts related to investing, but also the more specific elements and niche concepts. Take courses online, read guides and try to educate yourself on as many investment options and strategies as possible. If you aim to attract brand new customers, it’s well worth putting new marketing strategies into action. 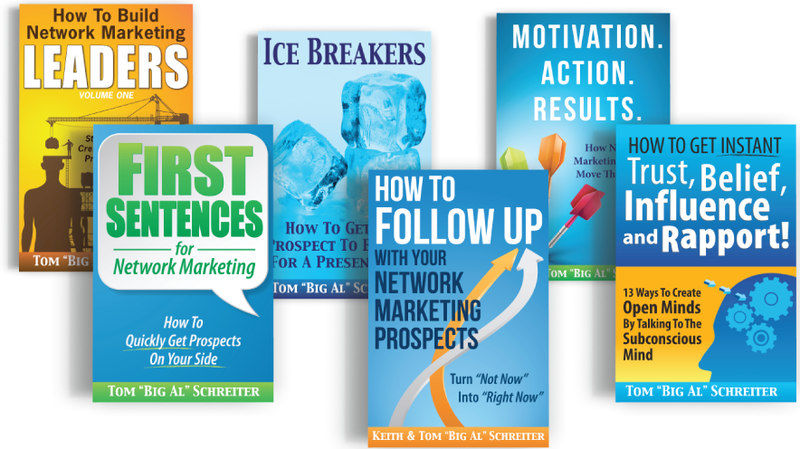 If you’re interested, simply continue reading to discover a few big marketing tips, which will increase your customer base and your profit margin. One way to convince past customers to spend their money with your business again is to send your past customers free samples or to send them an email, with an exclusive percentage discount off their next purchase. You may want to run an advertising campaign, which promises customers a free gift with every purchase over a minimum amount. As most individuals can’t resist a free gift. If you’re interested in this particular idea, you may want to advertise your free gifts on social media sites such as Facebook, Twitter, and Instagram. If your business’ social media accounts have a limited amount of followers and likes, you may want to consider reaching out to popular social media influencers, who will be able to promote your business, in exchange for a one-off payment. Just be sure to pick influencers such as bloggers and vloggers whose personal brand fits your brand. As an example, if your business is an online boutique which sells trendy clothes, jewelry and accessories, it’s well worth reaching out to fashionistas who boast tens of thousands of Instagram, Twitter and Facebook friends and followers. As if they post photographs of your products on their popular social media accounts, your products and business will be exposed to an audience of thousands of potential new customers. If you’re keen on this particular idea, you may want to give your chosen blogger a unique code, which they can give to their followers. Which will give their followers a small 10% discount on their first purchase. One way to promote your business to book a booth at a local trade fair or expo. As an example, if your business sells jewelry, you may want to book a booth at a wedding expo or at a women’s expo. Whilst if your business sells travel related products such as luggage, you may want to attend as many travel expos as you can, in order to expose your products to new customers. Also make sure to provide booklets which feature your top selling products as well as business cards, so potential customers can make their first online order at their own convenience. As in today’s day and age most individuals will want to conduct their own online research, before making a purchase. One way to encourage visitors to your website is to pay for a professional web designer to overhaul your primary website. So if you’re interested in overhauling your marketing strategies, make sure to implement at least a couple of the fool proof techniques listed above.